Platinum princess Cheryl dazzles in teaser video for new fragrance | HELLO! She's been inactive on social media for a few weeks, but Cheryl broke her Instagram hiatus to share an exciting video with her 2.6 million followers. 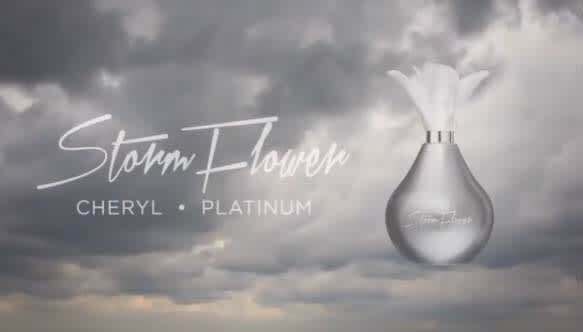 The pint-sized popstar looked absolutely incredible as she unveiled a teaser video for her new fragrance StormFlower Platinum. In line with the name of the new scent, Cheryl was smouldering with a deep silver smokey eye and a matching catsuit. The former X Factor judge shows off the design of the new bottle, which features a platinum-hued silver floral cap. Cheryl has been keeping a low profile on social media, but she took to twitter earlier this month to set the record straight about a new rumour doing the rounds. The 33-year-old star – who is currently dating One Direction's Liam Payne – simply posted the word "Nope" next to a thumbs down emoji on Tuesday, initially causing some confusion among her fans. When one fan asked for clarification, she replied: "Not my song they're saying has leaked." There has been some speculation that Cheryl and Liam are working on music together. Just recently the 22-year-old signed a new solo record deal with Capitol Records – and former boss Simon Cowell isn't too happy about it. The X Factor star admitted to the Sun that he was annoyed that the boyband singer didn't sign with his company, Syco, given 1D's success with the label. "It is a bit annoying if I'm honest with you – mainly because it's another label who has now got your artist with you worked with for so many years," Simon said. "But that is the music business, unfortunately. I don't think anyone else from the band will do that." He added: "We had spoken a lot, him and I, about what he wanted to do next. My impression was that he wasn't in any hurry to make a record because he discussed this last year. He was more into song writing. "I was teasing him saying, 'If you come up with a great song Liam, make sure it is for you and don't give it away. When you're ready, I'm ready.' So I was a bit surprised. Of course there is a part of you that goes, 'Maybe we should have had the conversation.' That maybe is my fault, but it has happened now."